EVERY CORNER OF Ireland has something unique to showcase – but how much of it have you seen? TheJournal.ie has been chatting to heritage officers in every part of the country to compile their top five picks that they think you might enjoy visiting this summer. Heritage includes monuments, archaeological or architectural objects, seascapes, wrecks, geology, inland waterways, gardens and parks. We are publishing recommendations for every local authority area over the course of a fortnight, along with the details you need to know to plan your visit. In the ninth century the fortress on top of the rock was attacked by a Viking army, and the Abbot of Terryglass was killed. Later the powerful Anglo-Norman lord William Marshall built the castle further in the late 12th century. This medieval fortress ruin provides views of the surrounding countryside and this was originally a strategic placement for defence. Amenities: There is no wheelchair access and nearby there is a café, children’s playground and public toilets. Opening hours and costs: The site is FREE to enter and is open during daylight hours year-round. The museum tells the story of the Famine, particularly focusing on its aftermath and how Irish life and agriculture changed. The buildings house and the workhouse dormitories remain as they would have been between 1853-1886. There is also a collection of agricultural equipment dating back 50 years and the museum offers guided tours. Amenities: Wheelchair users can visit the ground floor only and there are toilet facilities. Opening hours and costs: The museum is open weekdays from 11am-5pm. Entry is priced at €5 per adult, family €10, seniors/students €3 and groups over 10 people €4. 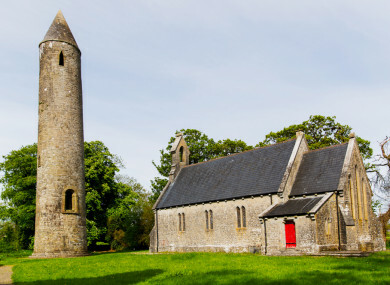 St Mochua founded a monastery here at Timahoe over 1,000 years ago and the centre holds a museum dedicated to the monastic site and round tower. Augustine Canon monks ran the tower here until they were killed under the orders of Oliver Cromwell in the 17th century. Today visitors can see a sean-na-gig (a stone carving depicting a mythical male figure), view the tower and explore its history with local history books and an audiovisual presentation available. Amenities: There is a children’s playground nearby, tea and coffee available and there are toilet facilities. There is a ramp available to wheelchair users. Opening hours and costs: The site is open weekdays 11.30am-5pm, entry is FREE but donations are requested. This museum invites visitors to explore the history of Laois dating back to the Stone Age, and there is a model railway and carpet factory feature. Exhibitions here focus on rural life, the de Vesci family who brought the railway to the town and the Mulhall collection of documents, photographs and objects which focus on local history. The prehistoric section holds items from the Stone, Bronze and Iron ages as well as the Cashel bog which is believed to have held the oldest bog body in the world. Amenities: The main exhibition here is fully accessible to wheelchair users, there is a children’s playground and toilet facilities. Opening hours: The museum is open from 9am- 6pm from Tuesday-Saturday and entry costs €4 for adults and €3 for groups, seniors or children over the age of three. This house was designed by James Gandon in 1790 for the Earls of Portarlington and built in a neoclassical style. There are guided tours of the house as well as gardens and parklands to explore, which include a lake and woodland walks. Dogs are welcome when kept on a lead but cycling is forbidden. Amenities: There are toilets and parking facilities, a tea room and café on site. The house and grounds are wheelchair accessible. Opening hours and costs: Emo court is open daily from 10am-6pm. Prices for adults are €5, group/senior €4, child/student €3 or family €13 and entry to the garden is FREE. Thanks to Laois County Council heritage officer Catherine Casey for her recommendations. TOMORROW: Top 5 must-sees in Leitrim and Longford. Email “Your summer in Ireland: 5 must-see sites in Laois”. Feedback on “Your summer in Ireland: 5 must-see sites in Laois”.